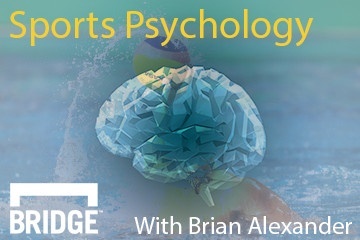 This month’s edition of Sports Psychology is for the coaches and individual athletes who want to plan for success and find ways to evaluate where to adjust if needed. This is the first article in a four part series. Every team has an opportunity to solidify their mark on the legacy of their program. It’s important to establish a unique identity through the mission and team values they deem most important to their own success for the upcoming season. The team’s success each year largely depends on the roles and norms that the coaches set for the team, empowering athletes to find their place within the culture that has been established. The coaches also need to lead and act in a way that is highly conducive to establishing a sense of cohesion. Depending on if the sport is team- or individual-based, the coach will need to find ways to connect the athletes both socially and through their sport skills. The most common model of team development was created by Tuckman (1965). He proposed that all teams go through four stages: forming, storming, norming, and performing. All the stages are necessary for a team to develop, address challenges and conflict, tackle problems, and deliver their best possible results. Although this is thought of as a linear model to team development, it is important to understand that each stage varies in the amount of time a team experiences them. They may move forwards or backwards from one to the next. Think about what might influence your team to go through these stages, in which order, and for how long. The forming stage is where the teambuilding begins. Your team is most likely still forming if your athletes are operating quite independently, are not showing that they trust one another, or are not necessarily clear on their role or how they fit in with the team. The athletes are probably comparing their skills to each other’s and deciding whether they can relate with their teammates to form some connections within the sport environment and out. The forming stage is a critical time for a coach to establish rapport with the athletes as well. Coaches can observe how individuals respond to different levels of pressure in practice. During this early stage, coaches should establish clear expectations of the athletes as members of the program and what the athletes can expect of the coaches in their roles. This type of open communication clears blurred lines and boundaries for all involved to add clarity. Coaches should also schedule one-on-one meetings with their athletes to explain how they view the athletes role on this year’s team and the best way that athlete can contribute to the team’s success. This conversation should include sport position and social position, especially with the established leaders and captains of the team. Every team needs captains as leaders, but try to establish leaders both formally and informally so that the athletes can positively influence one another in practice, at school, and outside of the team environment. One way to move through the forming stage successfully is to create a team charter with the athletes. Everyone from the team should be involved in this process of creating the team charter so that a sense of ownership and pride is felt in the finished product. A team charter outlines the ultimate goals for the season, the roles of every member on the team, the expectations and norms of behavior for every member, and any mantras or mission statements that will be the underlying factors driving the team forward. Creating the team charter on a large poster board with every team member’s signature as a sign of their commitment provides a great reminder of how and why your team was formed when it is posted in a visible location for the team. Remember that the forming stage for your team may take some time to establish but your athletes will be very excited for the clarity and transparency that it helps create. You may need to revisit your team charter throughout the season to check for consistency but it should always be the guide for your team’s success. Create consistent language that emphasizes the roles and norms that were written on the team charter and track improvements that your athletes make in their roles and their skills.